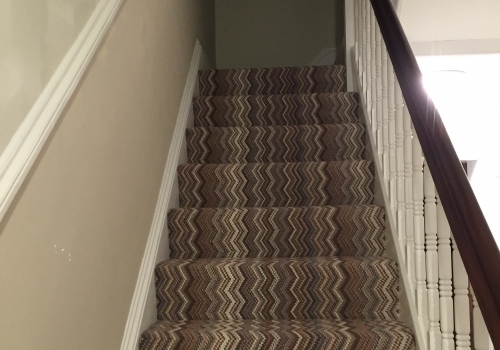 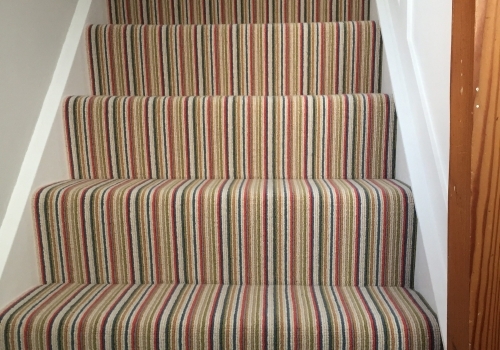 Stripes are still very popular on a staircase, and here’s one we supplied and fitted earlier this month. 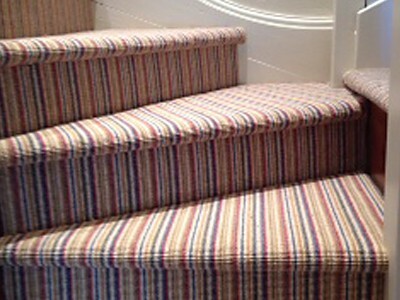 Carpet by ‘Brockways’, cut into a stair runner then overlocked on the sides. 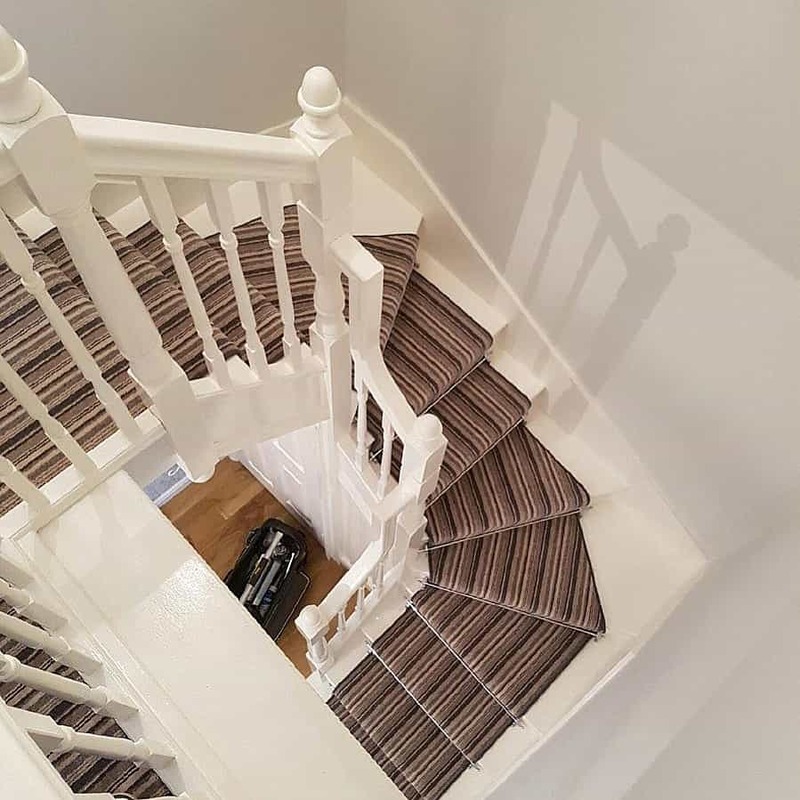 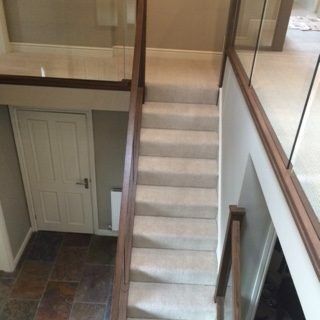 Once fitted by our professional fitter, stair rods are added to finish this stylish look.